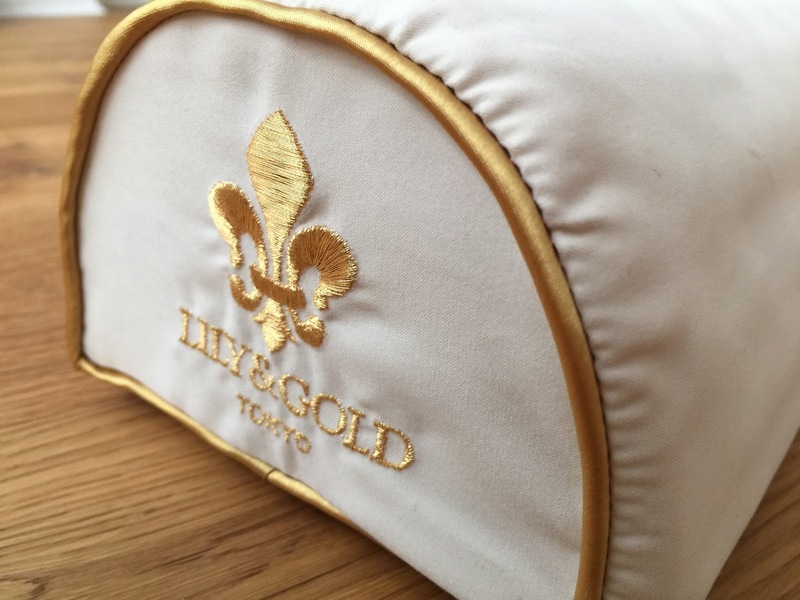 English website of Lily and Gold London is now available. 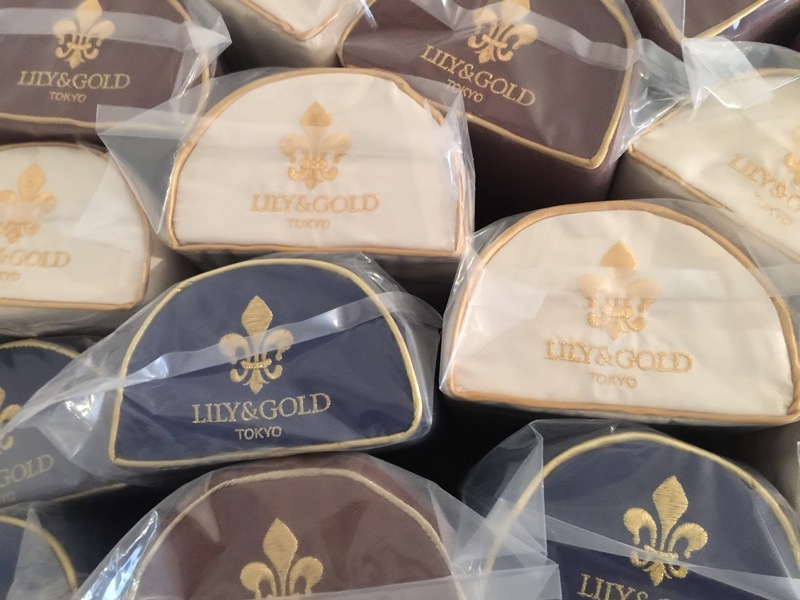 We are pleased to inform you that English website of Lily and Gold London is now available. For booking a trial lesson and inquiries, please contact us.Thank you! In June 2010, I was hospitalised with a heart rate of nearly 18 beats per minute. My heart had been racing for several days but I was under the impression it was food poisoning. Just two weeks after my wedding on the Greek island of Naxos, I was diagnosed with thyrotoxicosis, which meant that my body was over producing thyroxin and ultimately poisoning me. On reflection, my heart rate was not the only symptom, I had been suffering from mood swings, feeling excessively hot and had put on a lot of weight over several years. I had put a lot of my symptoms down to my Father’s death and had not suspected that I was unwell. Once diagnosed with Graves’s disease, an autoimmune disease affecting the thyroid gland, I started on a treatment that suppressed the production of thyroxin. I also had to take beta-blockers to treat the heart related symptoms. In the months following the thyroid storm (thyrotoxicosis) I suffered heart palpitations and anxiety attacks and was not sleeping. I limited my drinking of alcohol as this also increases your heart rate and I made changes to my diet, trying to eat more sensibly. My body had been producing ten times too much of the hormone thyroxin and my endocrinologist said that I had had the most severe case of thyrotoxicosis he had ever seen. I started to lose weight quite quickly and felt less swollen but still very weak. I did not enjoy exercising, as my heart rate would increase which frightened me, reminding me of my experience of the thyroid storm. I started SBM and taking flora pills in February 2011. I found it very difficult to start with, the position felt unnatural and I was very stiff. I was pleased that it did not increase my heart rate but still felt as if I had worked my body. My weight loss increased considerably and I felt some very quick changes to my body. I felt less anxious, more peaceful and stronger. In the first month I lost a lot of centimetres from around my waist and my master told me that my pelvis had moved a lot. The vertebrae that relates to the immune system had been swollen, I had felt this for years but did not consider it as a symptom of something more serious. The muscles of my neck became stronger at the same time as my thyroid gland (located in the neck) became less swollen. My endocrinologist had told me that it might take several years to regulate my thyroid gland’s production of thyroxin. I would probably have to be on medication for the rest of my life and I would not be able to have children until my levels were regulated. In April 2011, just two months after starting to practice SBM every day, my levels were normal. My endocrinologist said that I could consider starting a family but that it might take years to conceive so to be patient. In July 2011, I became pregnant. I continued SBM and taking flora pills until the week before my daughter was born and my levels stayed normal throughout the pregnancy. In month 7 of the pregnancy, I was told to stop taking my thyroid medicine. I had a difficult birth, I was overdue and after a long labour, I had an emergency caesarean section. After the birth I had an infection and feeding was difficult but the whole time I continued to take flora and my levels stayed normal. Six weeks after the birth, once the caesarean started to heal, I started to practice SBM again. It felt very natural and I enjoyed feeling my muscles wake up after having been stretched throughout the pregnancy. Being a mother is very physical and it is easy to have a bad posture during feeding and nappy changing, SBM helps me to notice my body and to listen to it and respect it. I find doing my exercises at the end of each day very relaxing. It is now 12 weeks since the birth of my daughter and I am still not on thyroid medicines. My levels are normal and I have nearly lost all of the weight from the pregnancy. I believe that SBM has helped my body to recover after the thyroid storm. My endocrinologist was amazed by the speed of my recovery from such a severe reaction. He believes that a combination of my change in lifestyle, the SBM and the flora are to be thanked for my quick recovery. SBM has been a method for me to keep my body in shape at a time when I did not enjoy cardiovascular exercise. I find SBM nearly meditative, I take my exercise time as time to clear my mind and contemplate my day. It has helped me to hear my body and notice when I am not treating it well. It has become an important part of my life and my recovery. I hope eventually to go into total remission from Grave’s disease and to stop having to take medicine all together. SBM pillows has been delivered safely ! Whatever happened in the past, we must all learn from these wrongs and never let it happen again. 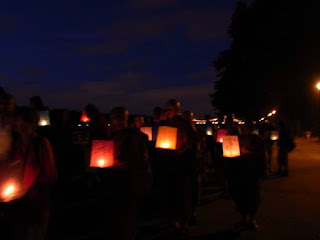 Nagasaki day - A floating Lantern ceremony in 2010 @ The Peace Pagoda - Battersea Park. Self Body Make is a set of simple, self-curing exercises for your back and neck using a special SBM pillow. The exercise will gradually correct the position of pelvis and spine, leading to correction of balance disorders and muscle imbalances. For booking a trial lesson and inquiries, please contact us.